“Eilidh” - 30th September 1974 - 41’ long, built for MacKenzie Brothers, Applecross. Larch on Oak. 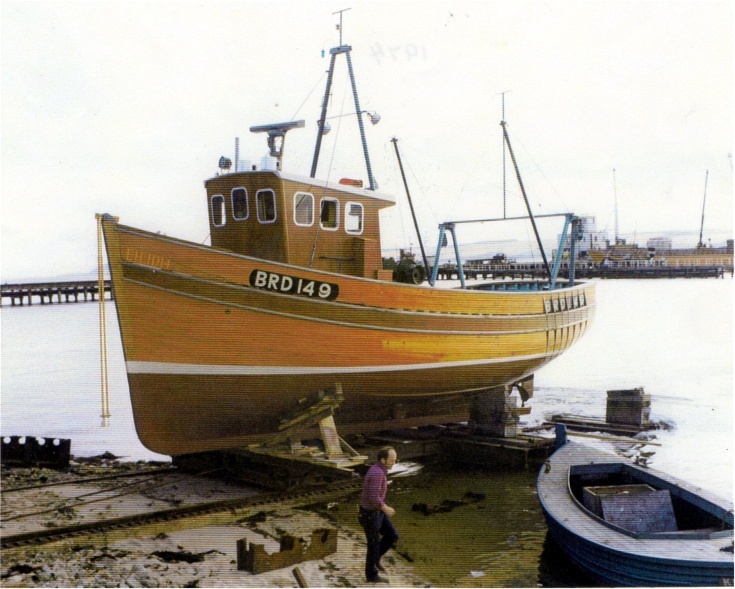 Hi there , I have just saved a boat from being destroyed and have put it in my garden to restore it . I believe it was built at Invergordon boat yard in 1969 by T J Edwardson & Co, she is called Zulu maid or so I’m told , 39 feet long and 12 feet wide at its widest point . Would you know anyone who would know anything about her or have any photos ? Many thanks Matthew Chalk . Hi Matthew, this sounds like a boat I worked on with the Edwardsons in 1968 I believe, she was built iroko on oak along the lines of a Zulu fishing boat, as a motorised yacht for a Norfolk poultry farmer, don't know if she had a name, or any photos, as I had left before she was launched. Would love to see a photo of her and how you came to rescue her. The person that owned her didn’t pay the storage fee for months and therefore it became the yards property and they were going to take her to the field and Burn her. I am a furniture maker and a lover of timber and could not bare to see this happen so I dug a hole in my garden and got her transported and lowered into the hole , she is now going to retire looking out to woodland and restored so we can use her as a holiday let / summer house / play den for my son .